For thirteen weeks from February to May 1969, British television viewers were transfixed by Kenneth Clark's visually sumptuous and richly informative Civilisation (BBC2), the most successful documentary series of its kind ever made, and a pioneer achievement in its time. Kenneth McKenzie Clark was born in London in 1903. The family owned a cotton-thread business that yielded a very substantial income. He was educated at Winchester School and Trinity College, Oxford, but perhaps the most formative period of his education was his subsequent two years in Florence working with the celebrated art historian Bernard Berenson . At the age of 28 he was appointed Keeper of Fine Art at the Ashmolean Museum in Oxford, and two years later, in 1933, he became director of the National Gallery in London. He held that post until 1945, having also been appointed Surveyor of the King's Pictures (responsible for the thousands of paintings and drawings in Buckingham Palace, Windsor Castle, and other royal establishments) in 1934. At the outbreak of the Second World War, and with the evacuation of the national collection to Wales, he was free to assume a new post, first as Director of the Film Division and then as controller of Home Publicity at the Ministry of Information . After the war, he resigned from the National Gallery in order to concentrate on teaching and writing. His success at communicating his great love of art, and a strong desire to reach a larger audience, led him to accept such major appointments as the chairmanship of the Arts Council of Great Britain , from 1953 to 1960, and of the Independent Television Authority (ITA), from 1954 to 1957. At the end of his tenure with the ITA, Lew Grade (as managing director of ATV ) offered him a contract as a television presenter. In 1959 Clark joined the ranks of the great television lecturers - military historian Sir Brian Horrocks and 20th century historian A.J.P. Taylor - with his series of Five Revolutionary Painters (ITV, 1959) for ATV. With the television camera strolling among the paintings (by Goya, Brueghel, Caravaggio, Van Gogh and Rembrandt) and the urbane, confident Clark conveying his tremendous knowledge in exceptionally clear English, the viewer was treated to the essence of what the painter saw in his creation (not an easy task in the era of black and white television). These programmes led to further series of talks and illustration, with the stimulating Landscape Into Art (ITV, 1961), Rembrandt (ITV, 1962), the latter a subject he would return to in 1976 (BBC), and Great Temples of the World (ITV, 1964-66). A lengthy series, shown at well-spaced intervals, Great Temples may be regarded, perhaps, as something of a trial performance for his later Civilisation , Clark's masterly account of history and achievement. When Civilisation began its thirteen-week run on BBC Television in February 1969 it was greeted with caution by some specialists. For most viewers, however, the superbly colour-filmed series evoked a rare sense of occasion. As a combined televisual guide and courier, Clark delivered a weekly lecture - a handsomely illustrated one - on art and architecture, literature and history. For Clark the idea of civilisation embraced the qualities and conditions under which civilisation can flourish; the series' detractors, on the other hand, saw it simply as a saga of noble names and sublime objects with little regard for the shaping forces of economics or practical politics. Civilisation became an international success and went on to change the shape of cultural television. Without it, none of the large-scale didactic series that came after ( Alistair Cooke's America , BBC, 1972-73; Dr Jacob Bronowski's The Ascent of Man , BBC, 1973) would have been made. It was the climax of his television career, though not of his work in television; the equally impressive Romantic Art Versus Classic Art (ITV, 1973) and Rembrandt (BBC, 1976) followed. 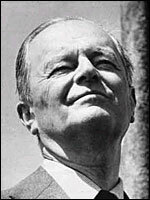 Kenneth Clark died in Kent, England in 1983. He had been the recipient of a host of honours and degrees and international awards. He was made KCB in 1938, a Companion of Honour in 1959, and a life peer in 1969. In 1976 he was awarded the Order of Merit.